Roads close to the volcano were covered with volcanic stones and ash after Mount Etna erupted on Tuesday night (March 5). Mount Etna, Europe’s highest active volcano sent plumes of ash and lava into the night sky on the island of Sicily. Italy’s National Institute of Geophysics and Volcanology has recently registered increased explosive activity by the volcano, Italy’s Civil Protection agency said. There are several inhabited villages on the slopes of Mount Etna. Eruptions are not infrequent, and Italian airliners sometimes have to alter their routes to avoid flying through ash clouds. Tuesday’s eruption did not cause any interruption to air traffic at the airport serving the nearby town of Catania, according to reports. A woman stands in front of a memorial for 7,144 Macedonian Jews, in the tobacco warehouses in Skopje, Macedonia, on Monday, March 11, 2013. SKOPJE | Macedonia on Monday (March 11) marked the 70th anniversary of the deportation of nearly its entire Jewish community to a Nazi death camp during World War II, while a U.S.-based diaspora group called on neighbor Bulgaria to apologize for its role in the Holocaust. Culture Minister Elizabeta Milevska led the memorial to honor the 7,144 people who were deported. Only about 50 of them survived. Macedonia was part of Yugoslavia until its independence in 1991, and most of its territory was occupied during the war by Bulgaria. The Washington D.C.-based group Macedonian United Diaspora on Monday called on Bulgaria to make a public apology for the country’s role in the murder of Macedonian Jews, who were sent by train to the Treblinka concentration camp in occupied Poland. There was no immediate reaction from officials in Bulgaria. But the country’s parliament acknowledged Friday that 11,343 Jews had been deported to Nazi concentration camps from areas under Bulgarian wartime control – in Greece and Yugoslavia. The Nazis rounded up Jews in the Balkans and sent them to death camps. SOFIA | Bulgarians on Sunday commemorated public protests that led to the rescue of more than 48,000 Jewish countrymen from deportation to Nazi death camps. Ceremonies across the country marked the 70th anniversary of protests by Bulgarian clergymen, intellectuals, politicians and others that ultimately stopped the Nazis from deporting any Jews from Bulgaria. Though an ally of Germany during the war, Bulgaria was the only Eastern European country that saved its Jews from the Holocaust. This act of salvation is a unique chapter in the history of the Holocaust, but its full story remained largely unknown until the fall of communism in Bulgaria in 1989. Parliament, however, admitted for the first time on Friday that Jews were deported to Nazi concentration camps from areas under Bulgarian control during World War II [including from neighboring Macedonia]. The Shalom Organization of Jews in Bulgaria had repeatedly demanded the state to take responsibility for the deportations. b) Mount Etna is one of the most active volcanoes in the world and is in an almost constant state of activity. Why do people live so close to this active volcano? b) How many Macedonian Jewish people were sent to a Nazi death camp during WWII? c) The original headline of this Associated Press news report was “Macedonia remembers tiny Jewish community.” The population of Macedonia today is just over 2,000,000. The Jewish community in 1941 was approximately 5% of the Macedonian population. Why do you think the AP chose to refer to the number of Jewish people deported to their deaths as a “tiny” community in a country whose population was less than 2 million people? b) Read the “Background” below on Bulgaria. How would you describe Bulgaria’s parliamentary VP Dimitar Peshev, and Christian church leaders who successfully blocked the deportation of any of Bulgaria’s citizens? Mount Etna is an active stratovolcano on the east coast of Sicily, Italy, close to Messina and Catania. Mount Etna is one of the most active volcanoes in the world and is in an almost constant state of activity. It has been created by the Earth’s active tectonic plate system – the African plate is moving below the Eurasian plate. As the Eurasian plate moves down into the Earth, it melts. Rising magma erupts at the surface as lava and ash and builds Etna in the process. It is the tallest active volcano in Europe, currently standing 10,922 ft high, though this varies with summit eruptions. It is the highest mountain in Italy south of the Alps. Etna covers an area of 459 sq mi with a basal circumference of 87 miles. This makes it by far the largest of the three active volcanoes in Italy, being about two and a half times the height of the next largest, Mount Vesuvius. Only Mount Teide in Tenerife surpasses it in the whole of the European-North-African region. There are towns and villages surrounding the mountain, including Catania. The fertile volcanic soils support extensive agriculture, with vineyards and orchards spread across the lower slopes of the mountain and the broad Plain of Catania to the south. In 1943, Bulgaria signed a secret agreement to deport 20,000 Jews to Nazi death camps in Poland. This plan was partially put into effect: 11,343 Jews from Macedonia and Thrace, then administrated by Bulgaria, were placed on trains and sent to their deaths. But thanks to the efforts of the then vice president of parliament, Dimitar Peshev, the deportation of Bulgarian citizens of Jewish origin was prevented. 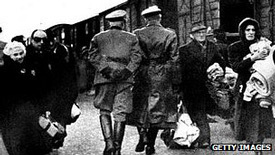 On March 9, 1943, the boxcars already were lined up to receive a first wave of 8,500 Jews as the news about their imminent deportation leaked, triggering protests throughout Bulgarian society. Peshev moved fast to publicize the secret deportation deal, forcing temporary cancellation of the order. He galvanized 42 fellow legislators to sign a protest petition to the king. Orthodox Church leaders in Sofia and Plovdiv also spoke out, and professors, doctors, lawyers, students, labor leaders and peasants staged protests, including marches and street demonstrations. Afterward, King Boris III told the Nazi leadership that he needed the Jews as construction workers. He moved them into labor camps but refused to deport them or hand them over to the Nazis. Peshev and the archbishops of Sofia and Plovdiv have been honored as Righteous Gentiles by the Israeli Yad Vashem Institute for rescuing Jews. ‘‘Seventy years ago, Bulgaria succeeded to save more than 80 percent of the entire Jewish population under Bulgarian administration, which is 100 percent of the Jewish population living within the limits of Bulgaria,’’ former Foreign Minister Solomon Pasi said in an AP interview. ‘‘This is indeed a unique act and proof that civil society could exist even under fascism, even in a country allied with of Hitler,’’ he said. 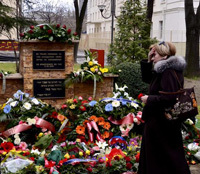 Pasi called on the European Union, as a holder of the Nobel Peace Prize, to nominate its member country Bulgaria for the award for saving its Jewish population from the Holocaust. About 45,000 of Bulgaria’s Jews emigrated to Israel after its establishment in 1948. Today’s Bulgarian Jewish community numbers about 5,000, most of whom live in Sofia. Read about Macedonia during WWII at wikipedia.